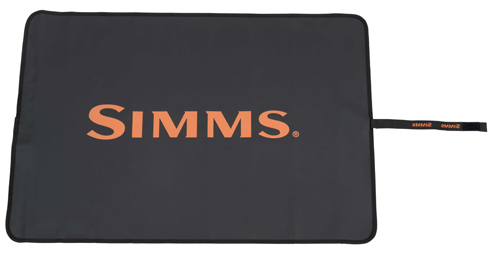 Simms all new Guide Change Mat is a handy accessory to have when changing out of waders. The Guide Change mat will protect your booties from getting dirty or scuffed. This changing mat is held together by a Velcro strap and easily rolls out into a 36" X 24" changing mat to stand on. The mat can be used in the boat to protect the deck or next to your car while changing out of waders.